We Buy Houses Anywhere In North Highlands And Within This Area, And At Any Price. Check Out How Our Process Works. We’re Ready To Give You A Fair Offer For Your House. If you want to have the best when it comes to realtors in the North Highlands, you came to the right place. InsightfulREIwill be able to give you what the need in terms of fast turnovers and reliable sales teams in just a short time. If you are wondering how to “sell my house fast” then InsightfulREIis the right place for you. If you want to learn more about the company, please read on right now. You Cried Out, “I Need To Sell My House Fast in North Highlands“? We can buy your North Highlands house. Contact us today! Call us on this number (916) 507-2502 to submit the necessary details or simply fill our short form to get the offer in minutes. Select the date i.e. when your offer is going to end. It does not matter whether it is fast or slow or sooner or later. Just choose the date and you are on the way to go! Initially, what you ought to do as the customer is to contact the website or landline number at (916) 507-2502 and share all the necessary details regarding the property itself. After you make the call, our team of professional property inspectors will visit your home to get a sense of the entire environment and the homeowners as well. This will give you an opportunity to get to know the company staff and realtors in a much more personal capacity. Next, they will give you advice on how to improve your property to increase the chance of immediate sale despite the present condition of your house. Afterwards you can schedule the release of the property into the market and the closing as well. Our personnel will be there to guide you every step of the way for a much smoother transaction. You can choose to do the renovations on your own but our people at InsightfulREI will definitely give you a chance to sell house online as is. 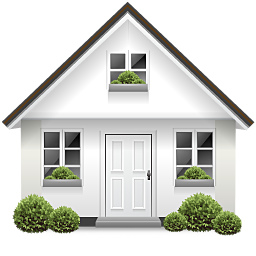 We will be the ones to take care of everything as soon as the visit the home for inspection. All you have to do is to sign the necessary documents and everything else will surely follow. This for sure proves that the company definitely lives up to the slogan “We Buy Homes Fast”. If ever you decide to work with this company as a homeowner, you will be making the best decision because we will surely make things easier for you in terms of property renovation and inspection. We will not hold up the sale with too much paperwork. Our professional realtors will share the requirements with the homeowners without ambiguity and allow them to decide the final terms of the agreement. This is why it would be best for you as the homeowner to get in contact with InsightfulREI. They are extremely easy to talk to and would never give homeowners a hard time when it comes to selling the house. What are you waiting for? Go ahead and give it a shot. Call the hotline number above from North Highlands to learn more about what the company can offer in terms of services and personnel. I am sure that you will not regret your decision to do so in the end. What Documents Do You Need To Sell Your Land in North Highlands?